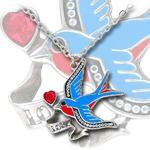 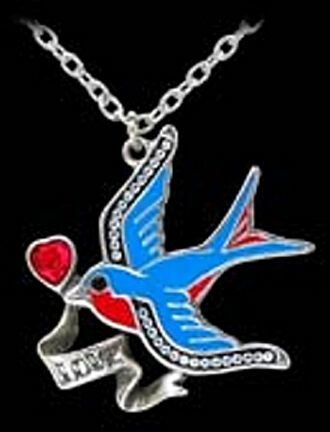 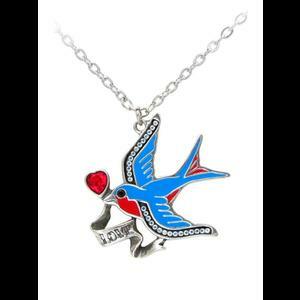 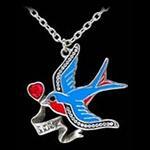 A beautiful rockabilly pin up necklace from Alchemy with a blue and red enamelled swallow pendant holding a scroll bearing the word LOVE and holding a red heart Swarovksi crystal. 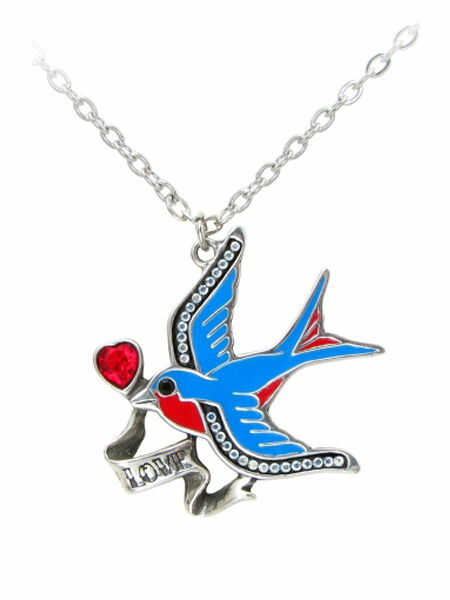 The edge of the swallow's wings are finished with a row of clear tiny sparkling Swarovski crystals. 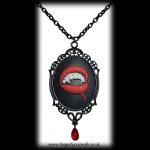 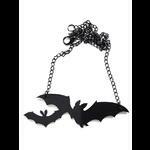 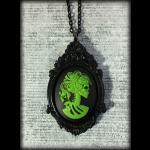 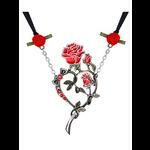 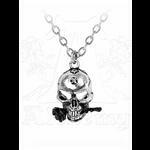 The pendant is on a split silver tone chain with a lobster claw fastening at the back.